Guru Shanti pooja, Remedies of Guru or Jupiter, Guru grah shanti, Guru yagya, How to worship Jupiter or Guru, Guru in astrology, Impacts of Guru in life, Guru grah dosh nivaran pooja importance, Astrologer for analysis of Guru problems in horoscope or kundli, Guru shanti ke upay. Jupiter is a planet which represent the religion, knowledge, spirituality, philosophy, knowledge, karma, health, wealth, wisdom, brahmin, honour, fame, moral, ethics, law, positive thinking, divinity etc. Guru shows the right way, guru is a teacher and that's why this planet is taken as most powerful planet among the 9 planets as per Indian astrology. 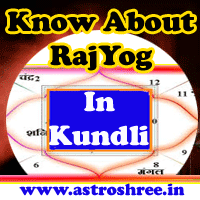 It is said that if guru is strong in any horoscope or kundli then the person is able to rock in his life. Honour, wealth every thing comes automatically in life because of Jupiter power. Jupiter is exalted with Cancer or kark and debilitated with Capricorn or makar. Guru pooja is beneficial for those person who has debilitated Guru or weak Guru. Those who are facing problems study, spiritual practices, religious activities then in that case guru shanti pooja is beneficial for the person. Metal represented by Guru is Gold. Gem stone of Guru is Yellow sapphire. Number related to Jupiter is 5. Direction of Guru is North-East. Day of Guru is Thursday. Zodiac of Guru are Dhanu(Saggittarius) and Meen(Pisces). Problems in developing social status. Careless nature is also due to malefic Jupiter. Fear to take responsibilities also seen in nature who have weak Jupiter. Misfortune not leave the person. Health problems of different kind arises. Financial problems also faces by person having malefic Jupiter. Progeny problems also faces by some couples due to problem in Jupiter. So to avoid the problems related with Guru in life it is good to proceed for Guru shanti pooja, Guru upasana Guru yagya, Guru fast etc. This pooja will make the person free from many complicated problems related to Guru or Jupiter. Guru pooja also helps to keep the mind stable and also makes the person successful. By chanting the mantra and donate the things of Guru on Thursday helps to reduce the malefic Guru effects. By Guru shanti prayog for this an experienced astrologer will help you. By worshipping Ist devta is also a good way to over come from Guru problems. Gems stone is also used to increase the power of Guru. Special Guru pooja is also done for making life smooth. Fast of Guru is also helpful in minimizing the Guru dosha. Special siddha Guru yantra is also used to get blessings of Guru. So if you want to know that what is the position of Guru in your horoscope, how Jupiter is affecting your life then contact ASTROLOGER. If you want to perform Guru shanti pooja then also contact ASTROLOGER.